Watch full Naruto Shippuden Season 20 Episode 58 English Dubbed full HD online. Naruto Shippuden Episode 471 English Dubbed online for free in HD. Hagoromo explains Team 7’s current situation to the four Hokage, and how it was possible for his spirit to manifest from Madara’s severed half. He mentions a jutsu he can no longer perform, having given much of his chakra to Naruto and Sasuke. Obito suffers from the intense chakra he used to find Sasuke, and thinks back to Rin, his old dreams of being Hokage, and his rivalry with Kakashi. Obito focuses on getting the three of them back to the others. Kaguya and Black Zetsu focus their efforts in attack the Naruto with Truth-Seeking Balls on his back, several shadow clones protecting it. 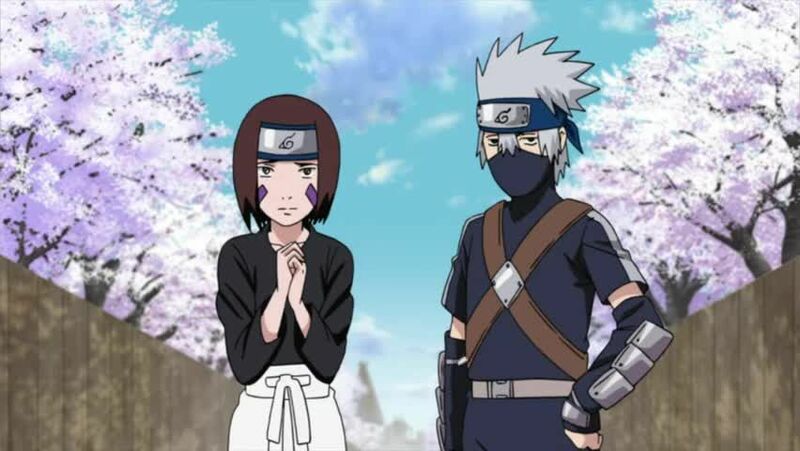 Kakashi worries about being of little use in the fight. Obito returns with Sasuke and Sakura. Kaguya ensnares Naruto with her hair and strikes him down, only for it to be a clone as well, the real Naruto having passed it the Truth-Seeking Balls. Kaguya shifts to a high-gravity dimension, bringing everyone, including Kaguya herself, to the ground. Kaguya attacks them with her bones, but the high gravity interferes with her aim. She strikes again, compensating for it, but Obito and Kakashi throw themselves in front of it, thinking of Rin. Obito sends the bone that would have hit Kakashi away with Kamui, while he himself is struck. Obito tells Kakashi to stay a little longer.